Ready for a round of rapid-fire questions over a cup of joe? 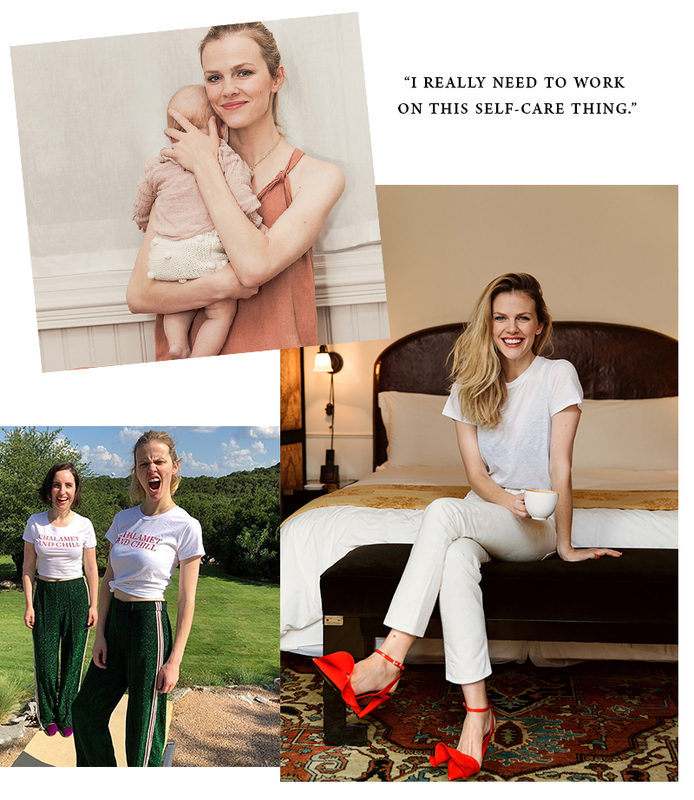 Today’s “Coffee With…” feature is with the multi-talented Brooklyn Decker. The Austin-based mother of two (daughter Stevie, 10 months, and son Hank, turning 3 this weekend) started out as a model in her teens, then transitioned into acting (she’s currently on Netflix’s Grace and Frankie), and now she’s also adding startup co-founder to her résumé, thanks to her work at Finery, a.k.a. “the world’s first automated digital wardrobe platform.” Here, she tells us a little bit more about her life in Texas, caffeine habits, top parenting advice, and favorite way to relax. What are your favorite coffee shops in Austin? What are your favorite massage spots in Austin? What are your top 5 local Austin spots? Currently on your bedside table? 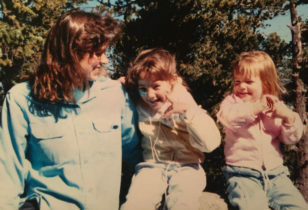 What’s the best piece of motherhood advice you’ve received? What excites you most about motherhood? What’s your go-to family meal recipe? What’s one of your best childhood memories? What won’t we find in your closet? Tell us about Finery in a nutshell. What’s the biggest lesson you’ve learned (so far) about running a startup? For more on Brooklyn, follow along with her on Instagram. 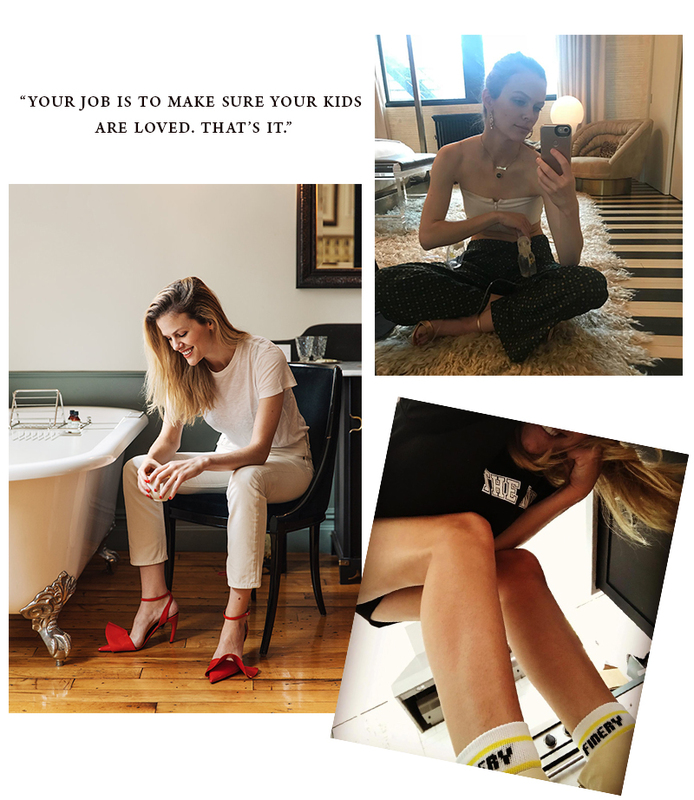 For more “Coffee With…” features, check out our conversations with Jessie Randall of Loeffler Randall, model, entrepreneur, and philanthropist Liya Kebede, designer Margherita Missoni, the multi-talented Karen Elson, and General Store Los Angeles co-owner Hannah Henderson.